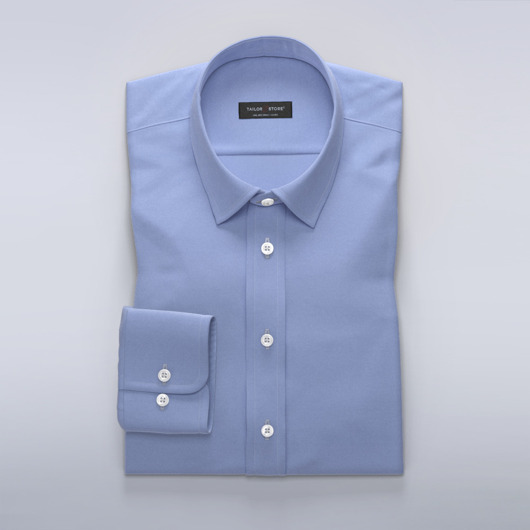 Clear blue linen dress shirt with elegant mother-of-pearl buttons. Perfect for warm days, pair this soft and airy shirt with light colored chinos or jeans. Made to your measurements.